My wife and I are expecting our first born and we are so exited for this new change in our lives. Being able to see my wife's belly grow is a true blessing and we don't want to take this miracle for granted. We are aware how difficult it is nowadays, with all the stress and toxins surrounding us, to be fertile and become pregnant. And this is why I've put some work into publishing this blog and did some research regarding the issue on infertility. Since I'm not a women, I'll never feel the painful emotions they pass through when they struggle with fertility or pregnancy loss. However, by being able to experience these beautiful moments of pregnancy, my wife and I want that all our friends and loved ones that struggle with fertility be able to experience this beautiful moment also. And this is the root to my motivation to do this research. Well you know what I say?... "Everything happens for a reason. It might be a sign to improve and transition to a healthier lifestyle." This is what I told one of my loved relatives one when finally she decided to listen to me and take my advice in helping her with her pregnancy losses. There is so many different aspects of improving your health to prepare for pregnancy, but from my research and also testimonies I've heard, the following tips are simple ways you can explore to prepare the body for supporting another life. A healthy lifestyle, including nutrition and exercise, can bring about optimum health. Eating quality, nourishing, organic/chemical free foods where possible and getting rid of toxic household, cosmetic, perfume/deoderant and cleaning products can create the ideal environment for conception. The usual recommendation is to begin preparing your body about 3-4 months before trying to conceive. Both partners should work together to clear the toxins and benefit from healthier living. Through my own personal research I've discovered how the health of the gut is so important for not just the developing fetus, but to prepare the body for pregnancy itself. Our intestines contain over 100 trillion beneficial bacteria. This flora is responsible for: Synthesizing proteins, Gene activation, Counteracting harmful bacteria, Immune support, Digestive function, Prevention of specific types of cancer and Absorption of nutrients. There are many components of our lifestyle that directly contribute to low levels of healthy gut bacteria including stress, pollution (and that in Malta we've got a lot of it), poor nutrition, inflammation, antibiotics, and inadequate sleep. When our bacteria levels are too low, various health issues can arise, including infertility. Having a really healthy probiotic protocol before conception will help the body maintain adequate amounts of healthy gut bacteria, so these functions can take place and the body is best suited to sustain life. Since I am a wellness advocate for dōTERRA I am going to give you dōTERRA's answer to minimizing toxic load and that comes in the form of a 30-day renewing cleanse and restore, your annual "spring cleaning." While there are many uncontrollable factors in your overall health, through good lifestyle habits and proactive health care you can have significant influence over your physical well-being. Proper nutrition, exercise, rest, and stress management are fairly self-explanatory, but much less concern is generally shown for practices that assist in minimizing toxic load. That does not make them any less important. Your health truly manifests itself from the inside out; proper functioning of your vital organs and minimizing toxic load can influence your health as much as any other controllable factor. With its Cleanse & Restore Kit, doTERRA has created a system to help make toxic load reduction easy for everyone. You can check out dōTERRA's blog on DETOXIFICATION AND CLEANSING here. dōTERRA supplements are formulated with potent levels of essential nutrients and powerful metabolic factors for optimal health, energy, and longevity. 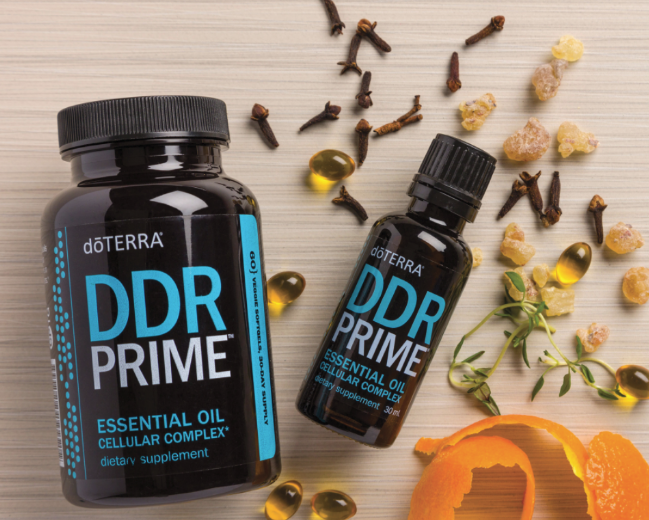 Coupled with dōTERRA CPTG Certified Pure Therapeutic Grade® essential oils, these supplements naturally support a lifetime of looking, feeling, and living younger, longer. Below you can find the supplements found in the kit and their singular benefits. General wellness and vitality • Antioxidant and DNA protection • Energy metabolism • Bone health • Immune function • Stress management • Cardiovascular health • Healthy hair, skin, and nails • Eye, brain, nervous system • Liver function and digestive health • Lung and respiratory health • Gentle on stomach • Non-GMO, gluten-free, dairy-free. PB Assist+® is a proprietary formula of pre-biotic fiber and six strains of probiotic micro-organisms in a unique double-layer vegetable capsule delivering 6 billion CFUs of active probiotic cultures and soluble pre-biotic FOS (fructo-oligosaccharides) that encourage culture adhesion and growth. The time-release, double-capsule delivery system protects sensitive probiotic cultures from stomach acid. PB Assist+ supports healthy digestive functions and immunities and is safe for use by all members of your family. BENEFITS: Supports healthy digestion and metabolism of enzyme-deficient, processed foods • Speeds conversion of food nutrients to cellular energy • Promotes gastrointestinal comfort and food tolerance • Supports healthy production of metabolic enzymes. The top-selling dōTERRA essential oil, Lemon has multiple benefits and uses. When added to water, Lemon provides a refreshing and healthy boost throughout the day. Due to its high limonene content, Lemon is a powerful antioxidant that can help ward off free radicals. Taken internally, Lemon provides cleansing and digestive benefits, can soothe an irritated throat, and supports healthy respiratory function. Zendocrine Softgels : Support your body’s natural detoxification system with a proprietary blend of Tangerine, Rosemary, Geranium, Juniper Berry, and Cilantro essential oils. Zendocrine helps cleanse the body of toxins and free radicals that can slow the body’s systems down, leaving a heavy, weighted feeling. This powerful blend combines Rosemary, Cilantro, and Juniper Berry, known for their detoxifying properties and ability to support healthy liver function, while Tangerine and Geranium have purifying effects against unwanted substances in the body. Promotes a healthy response to free-radicals. All the benefits of DDR Prime in an easy-to swallow softgel. Protects the body and cells from oxidative stress. By doing this 30 day Cleanse & Restore you will nourish your body with some of the best daily supplements, cleanse your digestive health and restore your vitality. This simple, efficient and effective program uses dōTERRA's supplements which are formulated with potent levels of essential nutrients and powerful metabolic factors for optimal health, energy, and longevity. Below you'll find the 30 day protocol. To get started with the CLEANSE & RESTORE KIT CLICK HERE and more info will follow as we'll get in touch with you via email or phone call. This might be a bit overwhelming, and it is at first, but I am here to support you and guide you. Be empowered and take control of your health naturally. This is a method that your body will recognize all through out the cleanse because all the products are plant based and your body knows what to do with them. If one is interested in also using essential oils, dōTERRA have some nice blends that can help to regulate hormone levels and boost your chances of having a healthy pregnancy. Essential oils can support the body physically, emotionally and energetically. They can be used to support our immune system, hormones, gut/digestive health, respiratory health and help us manage moods, focus, rest/relax as well as get rid of toxic household products. Please take time to read this small 25-page booklet by Certified Professional Midwife Stephanie Fritz. I hope you found this blog helpful. If you did give us a LIKE and a SHARE. Keep well and stay healthy. If you have any questions or you want to set an appointment you can use the Yellow Chat Box below.